You may not have heard of it, but Fotobabble offers huge potential for business – so what is it? 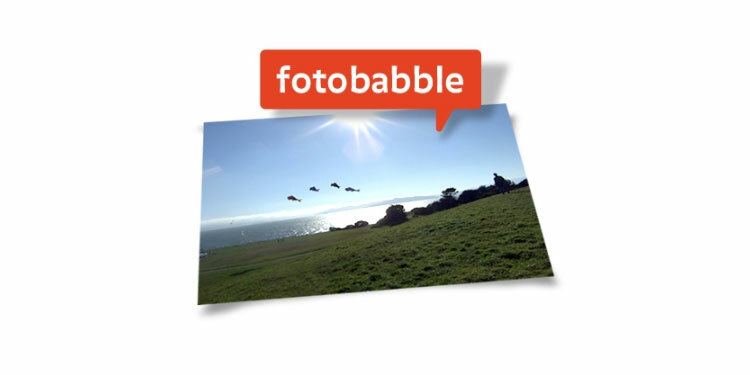 Fotobabble allows users to create a talking photo. The app allows users to add audio to a still image or a slide show in real time and create a talking photo. This talking image can then be embedded on a social media page, blog or wherever else you can think of for your needs. create something that is almost as interactive as a web video, though it only takes seconds to record and users don’t have to look pristine to do so. Users download the mobile application to an iPhone or Android device and then just say what they want over a specific photo they’ve chosen. This is done quickly and is more engaging than written content with a separate picture and as we’ve said, is faster to create than video. It also involves no downloading of software aside from an app and is extremely user friendly. Fotobabble allows creators to create and audio review with a picture, quickly and easily in the same way they would do with a Dictaphone. This review can then be set over an individual photo or a slide show of photos on a product and go and explain the products features in a far more interesting way then through text. One prominent wine company used Fotobabble to get its users to review its wines – very ineractive. There will also soon be a way to audio comment on pictures via Fotobabble. Fotobabble can also be used with pictures of complex information, such as graphs and charts to explain the facts and figures. This allows users to go through numbers, explain projections and do all the other things they would need to meet a person face to face for in a meeting. The use of a slide show makes this somewhat similar to a PowerPoint presentation on the go. For those that attend trade fairs and other such occasions, Fotobabble can be used to give a live review or news on a product and all you need to do is to just take a picture and then add some audio. This is far more interactive than a podcast and also far faster to do than a video. Once you have said what you want to say, you just attach it to the necessary means of social media and send it out into the world without the need to upload and connect to computers. Fotobabble can also be used for competitions and other forms of interactive marketing. Companies have used the software for fill in the caption type competitions. Other publications get users to upload questions on style and with answers via Fotobabble as answers. Other sites add get users to add voice clips to their dogs or babies in a competition to find the cutest or most attractive animal or child. Fotobabble’s strongest point is its simplicity. It takes one click on a photo to add a voice over and personalise your opinion, review or report instantly and it does so in an engaging, interactive and personal manner.